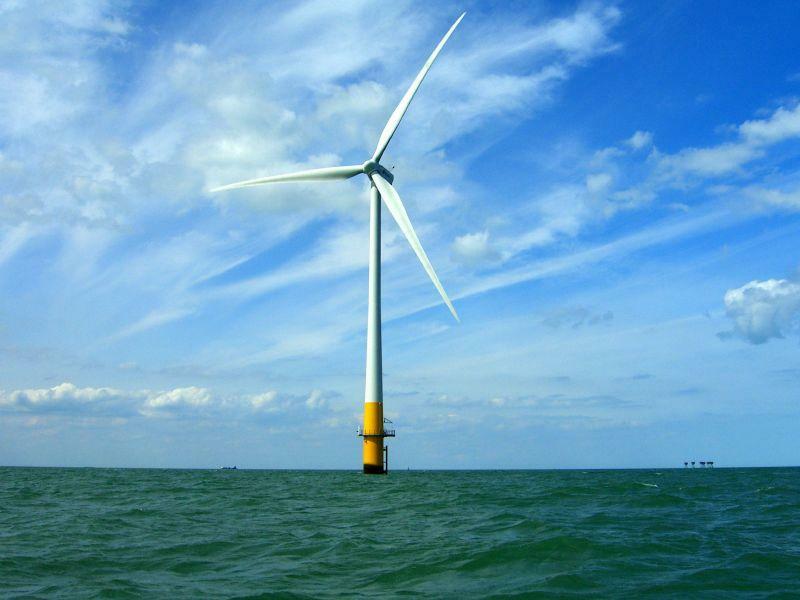 Can Hurricanes Be Weakened by Offshore Wind Turbines? Hurricanes are one of Mother Nature's most destructive storms that can cause total devastation to the coastal communities of the world. It is the unpredictable and uncontrollable nature of these storms that often causes them to be so deadly, however researchers believe that they can be weakened or even stopped by something as little as wind turbines. The joint research by scientists at the University of Delaware and Stanford shows that with the use of offshore wind turbines the destructive wind speeds, wave heights and storm surge of hurricanes could be drastically reduced making these monster storms into little more than a bad rainy day. As wind turbines generate electricity, they are also draining some of the energy from the atmosphere, however wind energy studies have found than there is more than enough wind as to where these turbines would have a minimal effect on the overall climate. In this new research which was published in Natural Climate Change, researchers Cristina Archer and Mark Jacobson took a closer look at how turbines would affect hurricanes. They theorized that unlike the normal long term weather patterns, hurricanes behave differently, so thus they may be more affected by wind turbines than normal winds. Using a climate-weather model, the researcher simulated hurricanes Katrina, Isaac and Sandy if they had had an army of wind turbines in their path. According to their data, the turbines reduced the winds of hurricane Sandy by 87 mph and Katrina by 92 mph by siphoning energy from the edge of the storm that slowly weakened it as it moved towards the eye. This decrease in winds would then decrease the storm surge by 34 percent on Sandy and 79 percent on Katrina. The situation doesn't seem to have a bad side, as the storms would be weakened and the wind turbines would be generating electricity. However, the sheer number of wind turbines it would take to weaken a hurricane makes this prospect seem impossible. As the data suggests, it would take an army of tens of thousands of wind turbines to be built to weaken these storms, which as hesitant as the world is to adopt wind energy, is likely not to happen.